CRA-W Distinguished Lecture Series is proud to support the upcoming TRIWIC. What will happen at TRIWIC? Qi Han is an Associate Professor in the Department of Computer Science at the Colorado School of Mines. She founded and directs the Pervasive Computing Systems (PeCS) research group. Her broad research interests lie in the areas of pervasive computing and mobile systems, with a current focus on applying mobile sensing, crowdsourcing, Internet of Things, swarm robotics, and real-time analytics to understand human activities and improve safety and efficiency of human life. She has been active in interdisciplinary research where she has used wireless sensor networks for different applications such as monitoring of subsurface contaminant and development of energy efficient buildings, she is also currently working on techniques to enable large swarms of small spacecraft. Her research has been funded by the National Science Foundation (NSF), National Aeronautics and Space Administration (NASA), Department of Energy through collaboration with the National Renewable Energy Laboratories (NREL), and the Petroleum Institute at Abu Dhabi, UAE. Dr. Han holds a Ph.D. degree from the Donald Bren School of Information and Computer Sciences at the University of California, Irvine. She has served on a number of technical program committees for international conferences and held several workshop or conference program chair positions, including a program vice-chair for IEEE PerCom 2017, a program co-chair for IEEE SMARTCOMP 2016. 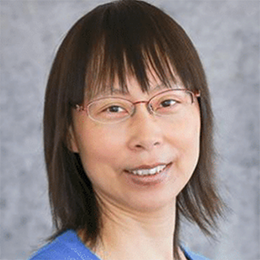 She is an ACM Distinguished Speaker, an ACM senior member, and an IEEE senior member.